10U sectional wall rack with a 17" deep center section attaches to the wall and hinges open for access. 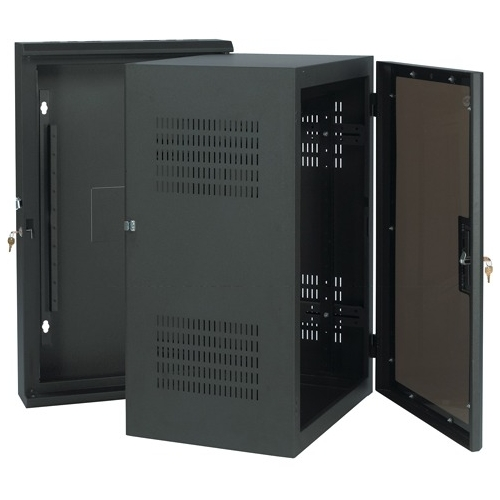 Sectional design allows access to rear of rack for cabling and maintenance. Doors and center rack section can be hinged to open in either direction.